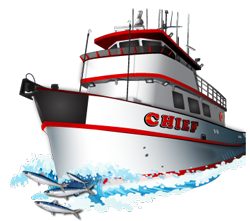 Rick is checking in for the Chief out of Point Loma sportfishing with the latest on their upcoming trips. 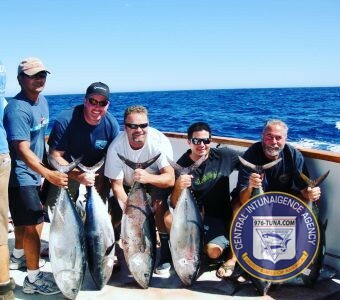 They have a couple of open party bluefin trips coming up, the first one leaving Wednesday, April 24th at 6 PM. Rick has all the info for you below, listen in. 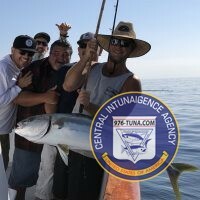 OPEN PARTY BLUEFIN TRIP APRIL 24th!! Call 619-223-1627 for information and reservations or CLICK HERE for a schedule and book online. Sport King, Online This Weekend!! 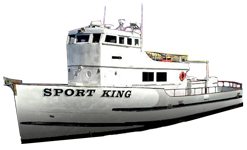 Bruce is live for the Sport King out of LA Waterfront Sportfishing giving us the latest on their upcoming trips. They'll be out for 3/4-day trips all weekend and Monday. Free parking close to the boat, no reservation needed! Call 310-547-9916 for information and reservations or just show up at 5:30. Freelance, Twilight Trip Saturday Night! Twilight on the freelance Saturday night! Coming off some excellent sculpin and bass fishing all in shallow water structure. Very fun fishing. The boat leaves Saturday night at 7 pm use promo code: twilight50 to get a 22$ boarding bass! Great weather forecasted as well! Call 949-673-1434 for trip information and reservations or CLICK HERE to book online. 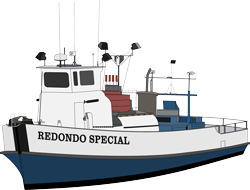 Redondo Special, 1/2-Day Trips Going Daily!! Just a reminder... the Redondo Special is running double half day trips departing at 7:30 AM and 1:00 PM all weekend long and every day after that! 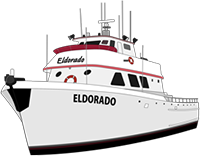 A spot just opened up for tonight's trip aboard the Eldorado! 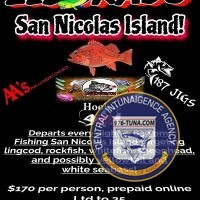 Departing at 8:30 pm, fishing San Nicolas Island! Every trip has been consistent on both quantity AND quality lingcod, rockfish, whitefish, and sheephead! 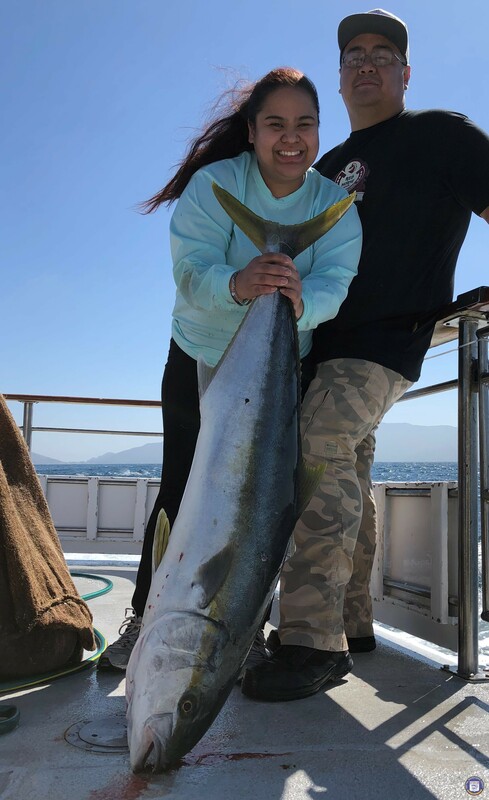 Book online and save at longbeachsportfishing.com or call 562-432-8993 for reservations. 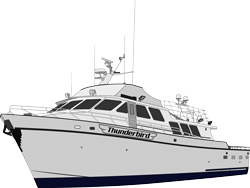 Only 5 spots left for tonight’s overnight on the Thunderbird @ $179 per person! To book go online at [link] or call 949-673-1434! Scott is live from the Condor out of Fishermans Landing as they have a 1.5 day trip leaving tonight. Trips is a go looking for tuna, yellowtail and more. Call 619-221-8500 for information and reservations or CLICK HERE for a schedule and book onlne. 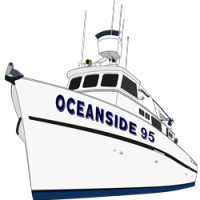 Rick is live from the Oceanside 95 letting you know they are a FOR SURE GO for tomorrow's 1.5-Day trip! They'll be fishing for yellowtail, bluefin and more! Good afternoon! Can I just say what we're all thinking? This week sucked!🤣 or I guess it actually blew!💨💨💨🌊🌊. Good news! Sunday is looking really good as of now and we have a light load for our 3/4 day trip. 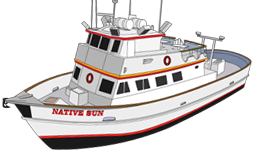 Native Sun, Back Online Everyday!! Jeff is live for the Native Sun out of 22nd Street Landing with the latest on their upcoming trips. They'll be out tomorrow, with 18 people signed up so far. They'll be back to open party fishing every day after Saturday! The Pescador out of 22nd Street has 5 spots open on a rare open party. Trips is limited to 10 anglers. Boat leaves Friday night at 9pm and returns Saturday night at 7pm. Give 22nd Street Landing a call at 310-832-8304 or CLICK HERE to book right online. Limits of fun are included. 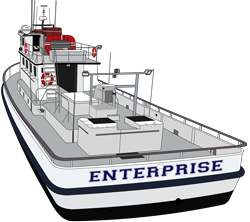 The Enterprise 3/4 day out of Pierpoint Landing has a great deal for you this weekend and Donny is live to tell you about it. They have a 2 for 1 special going on Friday and Saturday the 12th and 13th. Fishing has been great and you can't afford not to go at this rate. Early departure at 5 am. Call now at 562-983-9300 for your reservations as the trips will fill fast. Seaforth Landing is calling in with some updates and their latest trip information. The San Diego will be out tomorrow for a full day trip fishing the islands, leaving at 5:30 AM (passport required). They also have 1/2-day trips on board the New Seaforth and the Tribute leaving this Friday for a bluefin tuna trip. Listen in down below for all the details. Seaforth Sportfishing has trips for you departing every day. Call 619-224-383 for info and reservations. We are island bound tomorrow! Definite go at 5:30AM. Our last few trips out all had over 100 Yellowtail, let’s go get back on those big schools! The boat is online for full day Coronado Island trips seven days a week departing at 5:30 AM from H&M Landing. For reservations please call 619-222-1144 or log onto www.hmlanding.com to book online. Tom is checking in live for the Tradition out of 22nd Street Sportfishing with an update. They have some great deals for charter trips right now. Call 310-832-8304 for info and reservations or CLICK HERE for a full schedule and book online. Carl is live for Fisherman's Landing with today's counts and the latest on their upcoming trips. The Condor is a go tonight with a super light load. The full-day trip is a go tomorrow and they have trips online all weekend offshore. Call 619-221-8500 for trip information and reservations or CLICK HERE for a schedule and book online. Chris is live for the Cobra out of Channel Islands Sportfishing. They are a go this Sunday with only 5 anglers so far. Chris has the full scoop for you below, listen in. The COBRA goes again on Sunday, April 14th. Bruce is live from the Sport King 3/4 day out of LA Waterfront letting you know they are back online Thursday and all week leaving at 6 am. Call 310-547-9916 for more information and reservatiions or just show up about 5:30 and the Happiest of Birthdays to you. Both the Gail Force and Triton are now taking charter reservation for the 2019 season. As with every year, dates go very quickly. Don't wait too long as prime dates will be gone soon! Private Full Day Catalina Island Charters start at $2000! Grab 20 friends and that's only $100 per person for 12 hours of fun in the sun! Find a date or two that works then give us a call at (310) 844-3814 to lock up your date. It only takes a $500 deposit to set it in stone! Rick is live from the Oceanside 95 out of Helgren's Sportfishing letting you know they have a 1.5-day trip going Friday night April 12. They will be on the hunt for tuna and yellowtail. Call 760-722-2133 for information and reservations or CLICK HERE to book online. 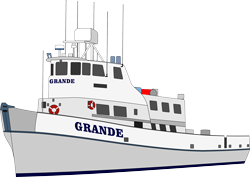 ON THE WATER TODAY: The Grande has 80+ Yellowtail so far fishing the Coronado Islands!. 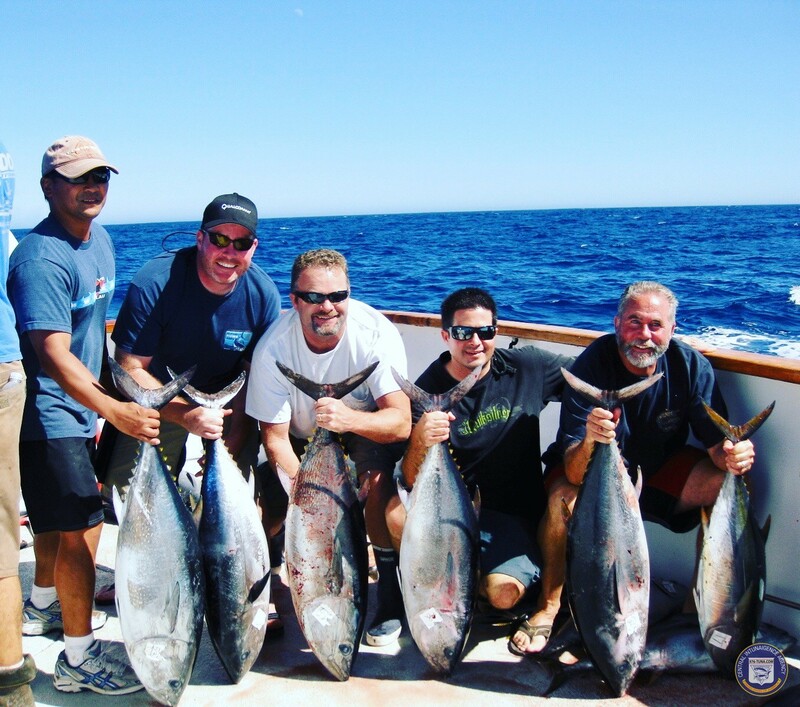 2 day and 1.5 day trips are catching lots of Bluefin Tuna fishing offshore! 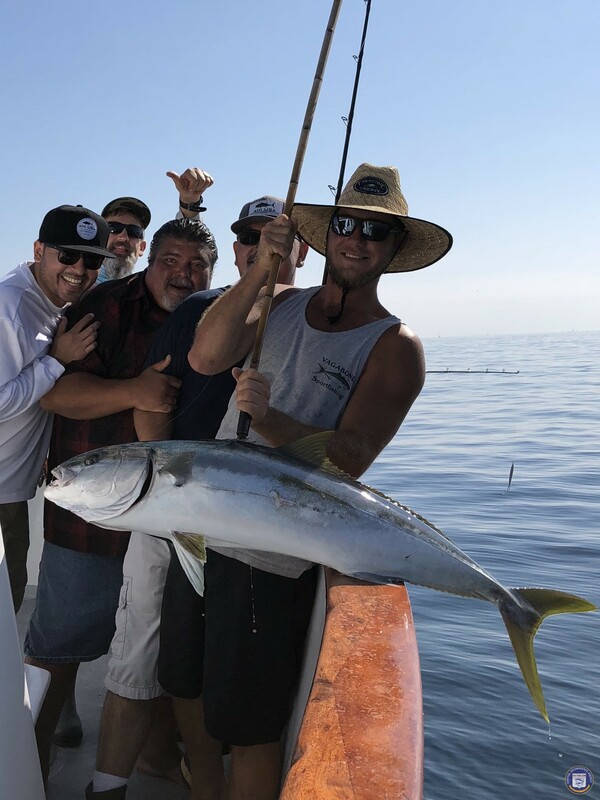 Full day trips are having excellent scores of Yellowtail fishing the Coronado Islands! 1/2 days are catching lots of bottom fish! Please check out our complete trip calendar to find the trip that works best for you! HOT NEW TRIP JUST ADDED!!! The Legend is departing Friday night at 7 pm to hunt for Bluefin! No passport required! Book Now The Old Glory has switched their 1-1/2 day departing Friday April 19th to an offshore Bluefin trip! Book Now No passport required! The Poseidon has a 2 day trip fishing for Bluefin departing Friday the 19th at 9 PM! Book Now No passport required! FRIDAYS 1.5-DAY TRIP IS A GO! Call 619-224-3383 for more info and reservations or CLICK HERE for a schedule and book online. Scott is live for the Condor out of Fisherman's Landing. 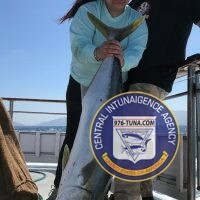 They are online next week targeting bluefin tuna offshore. Scott is live below to tell you all about it. Wed and Fri Night 1.5-Day For Sure Go! Call for information and reservations at 619-221-8500 or CLICK HERE for a full schedule and book online. 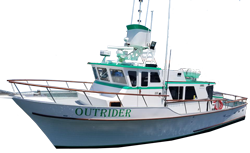 Overnight charter group needs a couple spots filled this week on the Outrider! 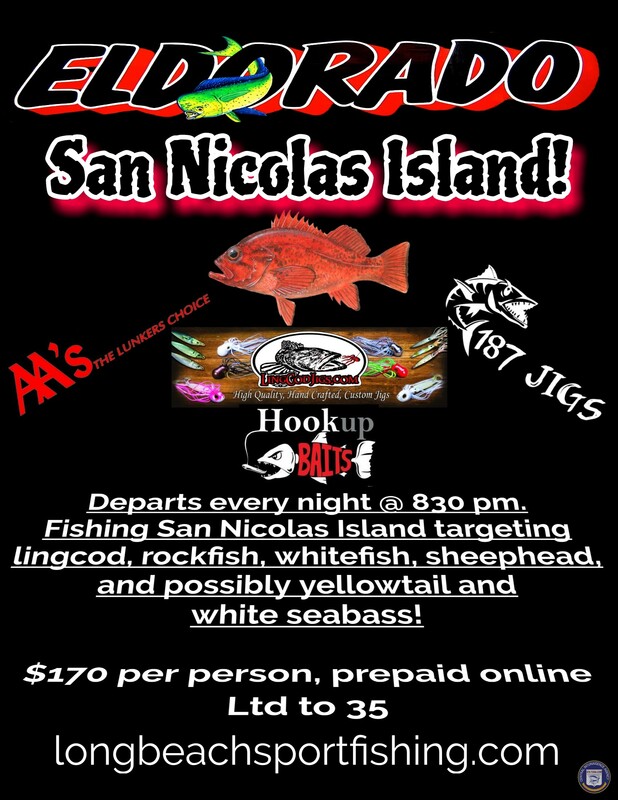 Trip departs this Wednesday April 10th at 10pm, fishing on Thursday April 11th out of Hook's Landing in Oxnard. Please give Chartermaster Stan Greco a call to reserve your spot at 805-750-7826. Targeting yellows and white seabass!